Yesterday I had the privilege, for the 14th Sunday after Pentecost, to attend the 5:30 PM Latin Mass that is held monthly on the 4th Sunday (not last but 4th) of the month. It was a wonderful experience and I only wish the Mass was better publicized. Only around 20 people were present and yet Father gave an excellent sermon and the Mass was even a Missa Cantata with a schola that consisted of five members. The Mass itself was a little on the long side at around 1 hour and 20 minutes but that was due to a reverent and prayerful experience. Granted the Mass only takes place once a month so the ceremonies did lack the polish we come to expect in a Latin Mass. 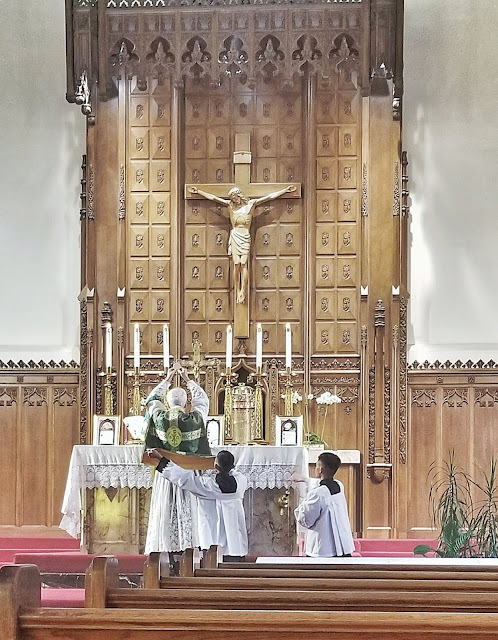 For example, the servers walked too far ahead at the opening procession and had to go both after noticing Father wasn't fully vested yet, some servers were unsure where to stand, and the handouts were printed for the propers for the incorrect Sunday in the liturgical year. The music also had too many breaks - different from the soft musical interludes from the organ I have come to expect during the High Mass. 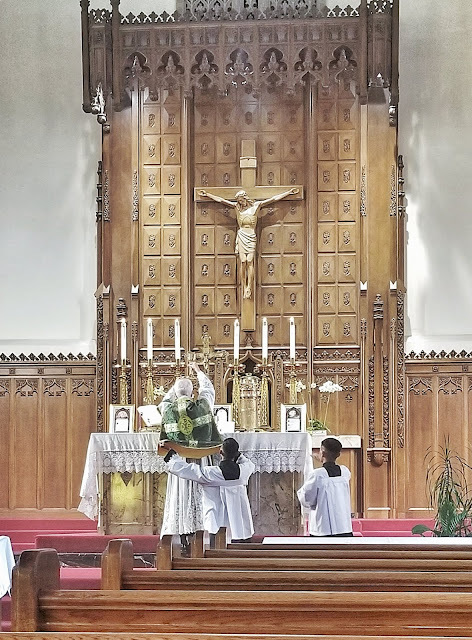 I very much wish that the Latin Mass Society of San Francisco, St. Catherine's parish, and others in the community would make this Mass more widely known! I'd go weekly if they had it offered. 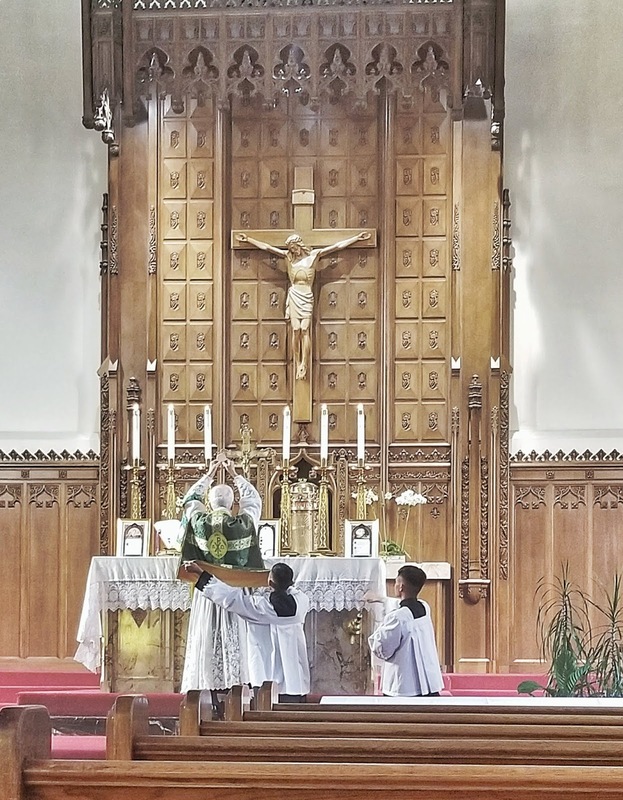 There is a simple website regarding this monthly Mass so if you have questions, please reach out to the Mid-Peninsula Latin Mass.